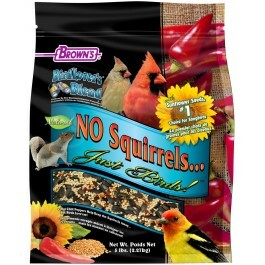 Birds Love It... Squirrels Don't! 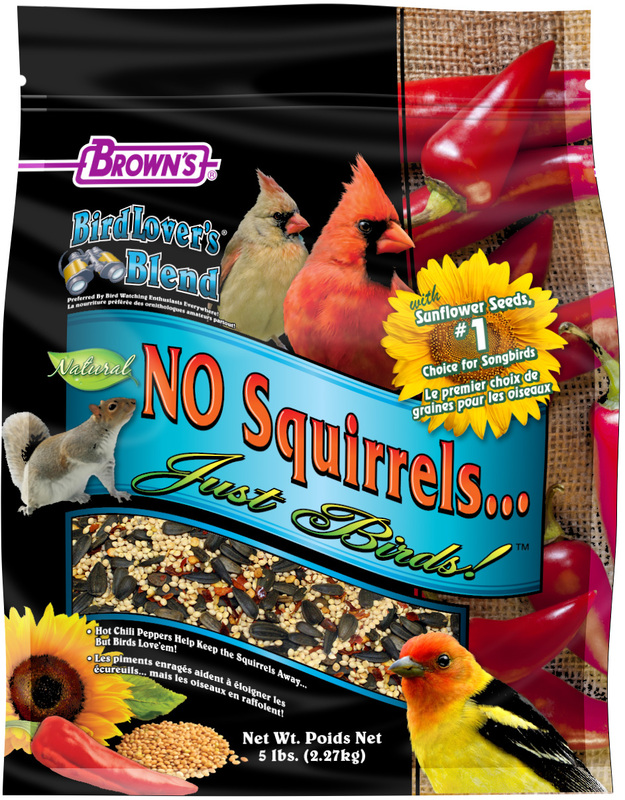 Now with Black Oil Sunflower Seeds, The #1 Choice of Colorful Songbirds! Birds Love It…Squirrels Don’t! 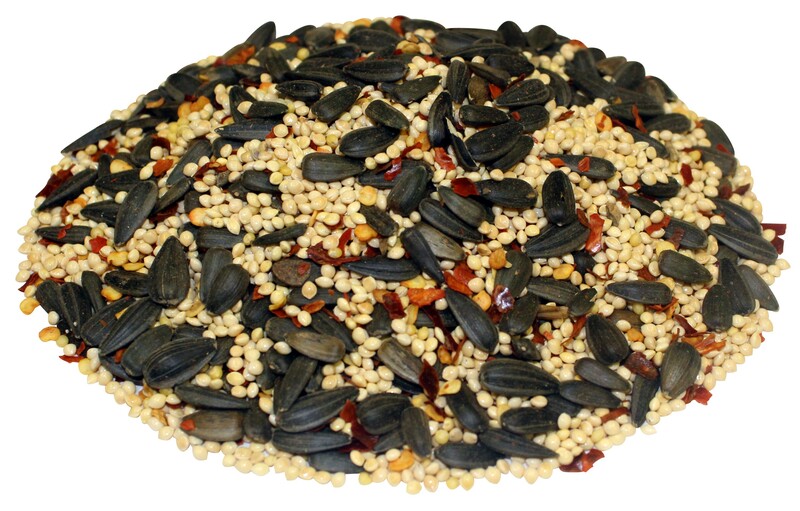 Birds love our natural ingredients including our premium black oil sunflower seeds, the #1 choice for songbirds. Plus, we’ve blended in chili peppers that safe to eat and loved by birds, but squirrels find them too spicy and hot. This unique blend of black oil sunflower seeds and peppers provides a dual method of deterring squirrels, while attracting colorful songbirds of all sizes. Train the Squirrels to Stay Away from your Wild Bird Feeders! Here’s how to get started: Curious pesky squirrels visiting your feeder will get a taste of the spicy chili peppers that are blended in the food. They must do this first to find out that they want to avoid this feeder and the food it contains. You may even notice the squirrels rubbing their faces, mouths, and shaking their heads after they try the food. After that experience, they will look elsewhere for food. We recommend setting up a nearby alternative feeding station for squirrels to help distract them away from your bird feeders. • Hot Chili Peppers Keep Squirrels Away…but Birds Love Them! White Proso Millet, Black Oil Sunflower Seeds and Crushed Chili Peppers.